The final few moments of Monday night's episode of This Time with Alan Partridge have caused quite a stir. In honour of St Patrick's Day the latest episode of the BBC parody magazine show featured an Irish guest, a Sligo farmer and Alan Partridge lookalike called Martin. 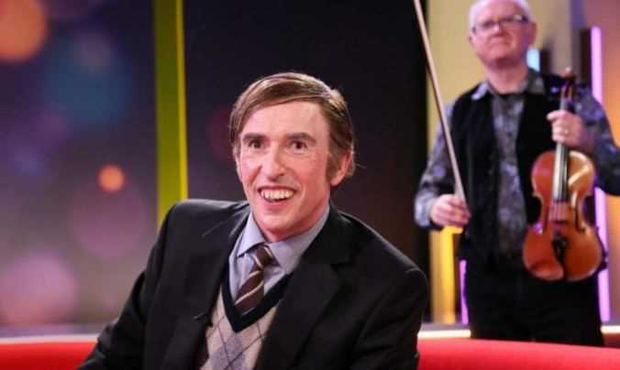 Martin, played by Steve Coogan (whose mother's family hails from Mayo), insisted he had never heard of Partridge, and then sang rebel songs - 'Come Out Ye Black and Tans' and 'Men Behind the Wire' - in studio, on primetime BBC. “Oh my God, that was like an advert for the IRA," declared a flustered Partridge as the segment drew to a close and the credits rolled. The sketch drew quite a reaction on social media. Coogan has previously addressed his Partridge character's references to the Irish. "I'm half Irish and Alan does make all sorts of Irish references. I spent nearly every summer of my life growing up in the west of Ireland and I'm very familiar with Mayo and Cork and west Cork," he told RTE ahead of the release of the Partridge movie Alpha Papa in 2013. "A lot of the humour I do as Alan is British prejudice against the Irish which can sound just like jokes against the Irish but it has to be put into the context of Alan's ignorance which is why we get away with it." This Time with Alan Partridge airs on BBC1 at 9.30pm on Mondays. By Keiran Southern, Press Association Los Angeles Correspondent A fire broke out at a block of flights featured as the Trotter’s home in Only Fools And Horses. By Keiran Southern, Press Association Los Angeles Correspondent Richard Madden shared a Game Of Thrones throwback showing his fellow actors Kit Harington and Alfie Allen as they were starting out on HBO’s fantasy epic.